- Cancellation of booking 60 days: free of charges , later we charge 1st night. The Hotel welcomes travellers, tourists and businessmen looking for a comfortable place where they can relax, just a few minutes from Burgos and the business areas. We are surrounded by gardens, with garage and a large parking lot outside. 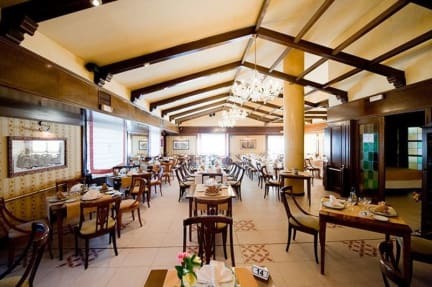 The hotel is a modern building, with large spaces, which has various facilities such as: free wifi, cafeteria, restaurant, room service, parking, internet corner, children's playground and handicapped access. 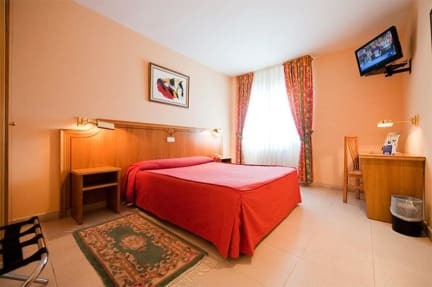 The 52 rooms, with a modern and functional style, are equipped with full bathroom, heating, telephone, laundry service, hair dryer and satellite TV. Enjoy our restaurant, a la carte or menu, a reputable service with an excellent quality/price. Thanks to our facilities, it is an ideal place to hold groups, meetings and banquets with a maximum capacity of up to 150 people.